This style is produced in deadstock raw denim 15-oz. 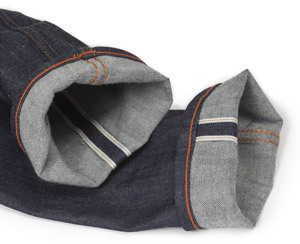 Japanese selvedge. The is relaxed with leg that falls straight down from the knee. Listen, these jeans are awesome. Fabric is solid feeling, flexible, and Made in the USA! Putting them on feels like a custom fit pair of jeans. Great customer service and quality products.